T he face of animal farming is changing. As industrial farming spreads to all corners of the world, the fate of billions of animals hang in the balance and the effects of raising animals for food are becoming clearer. The environment is on the edge of catastrophe, human health is being compromised, and hunger is affecting more people than ever. But there is cause for hope! A new generation is on the rise, bringing with it innovations and a fresh world-view. Veganism is the fastest growing social movement, and young people are speaking up about the challenges that threaten our future. Through tireless passion, dedication and command of new ways of communicating and organising, young people are challenging the injustices of our world, and demonstrating that there is another way. 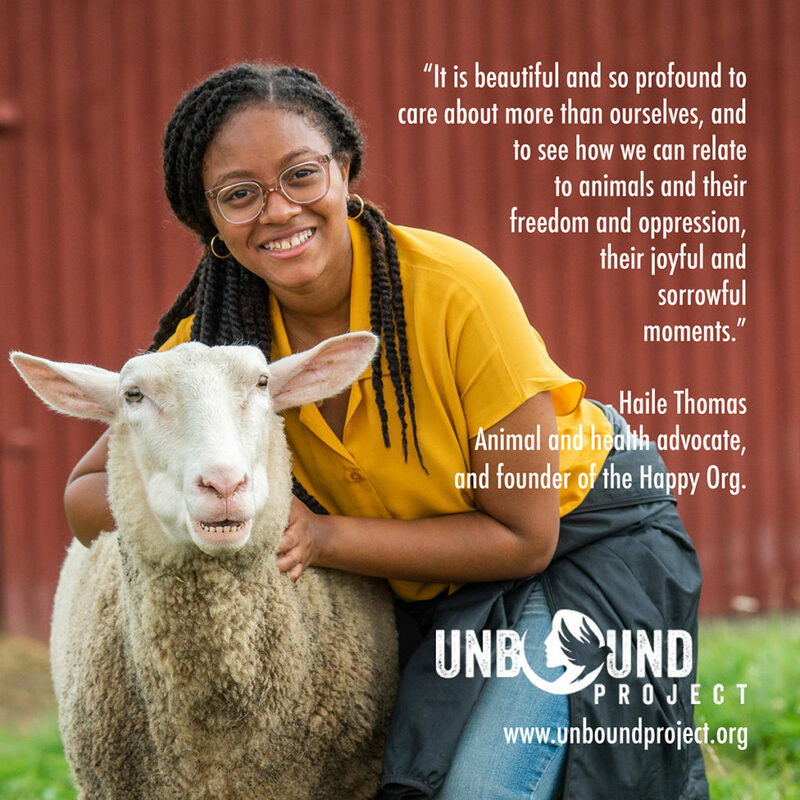 Meet several young women working to change the world for animals. Haile Thomas – The Happy Org. Haile Thomas is a vegan activist and social media influencer, and, at just 17 years old, is the youngest Certified Integrative Nutrition Health Coach in the United States. 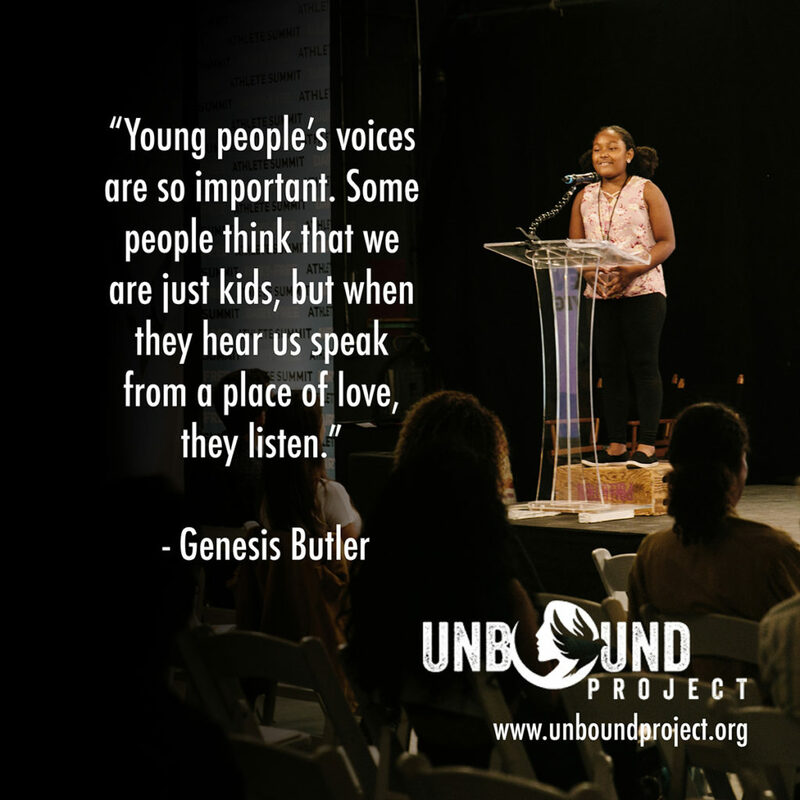 She founded non-profit The Happy Org to bring plant-based nutritional education to youth in some of the country’s most underserved communities and to empower young people and their families to make health and lifestyle choices that are good for them, for animals, and for the planet. By providing nutrition and humane education to youth through cooking classes, summer camps, and in-school programs, Thomas is improving individual health outcomes and subsequently public health outcomes for entire communities. Learn more about Thomas’ work and follow her on Facebook and Instagram. 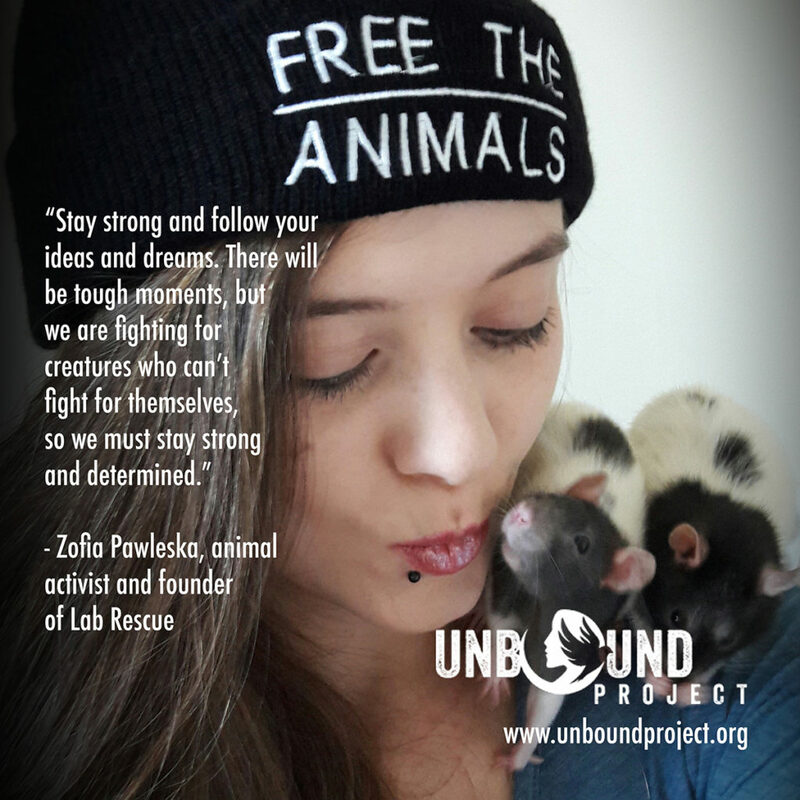 Zofia Pawelska is the 22-year-old founder of Lab Rescue, a Polish not-for-profit organisation dedicated to rehoming animals used in scientific testing. Since arranging to take 16 rats from a laboratory two years ago, Pawelska has built relationships with laboratories to promote adoption for animals who have been used in research. She says that people in Poland are becoming aware of the use of animals in laboratories, and that there is a trend building to adopt rescued animals, rather than buying them from a breeder or pet store. Lab Rescue is bridging the gap between laboratories that seek an alternative to euthanasia for animals, and families wanting to offer a loving home to them. Follow Lab Rescue on Facebook and Instagram to learn more. Yuri Suzuki is the 22-year-old founder of Animal Rights Center Students, a student group of the Animal Rights Center, Japan, where she also works in corporate relations for farmed animal welfare. The group, which is open to middle school, high school, and university students, does outreach work such as leafleting on campuses, as well as community building through study groups and vegan social events. 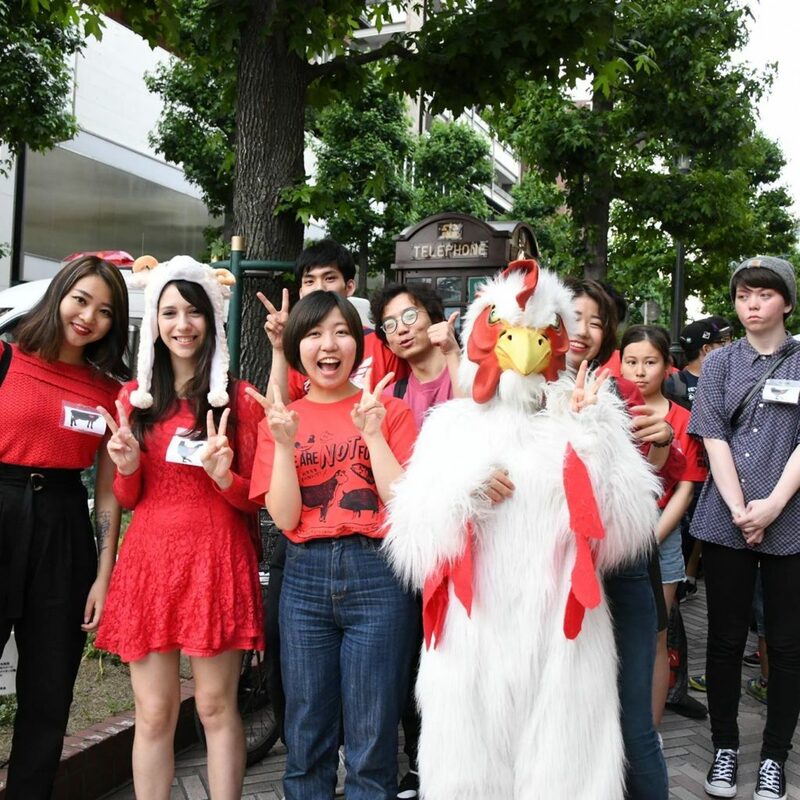 Animal Rights Center Students aims to expand its network of advocates, empowering young people all over Japan to engage in animal rights activism. Follow Animal Rights Center Students on Facebook and Instagram to learn more. 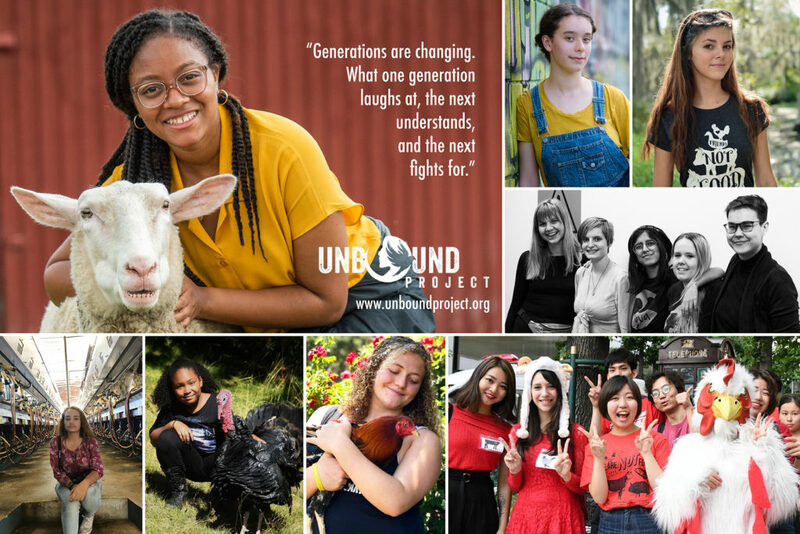 Zoe Rosenberg is a 16-year-old animal rights activist and the founder of Happy Hen Animal Sanctuary, a California-based sanctuary for abused and mistreated farmed animals. Rosenberg founded Happy Hen when she was just 11 years old, and since then she has saved over 600 animals from the food industry, sharing their stories with the world. 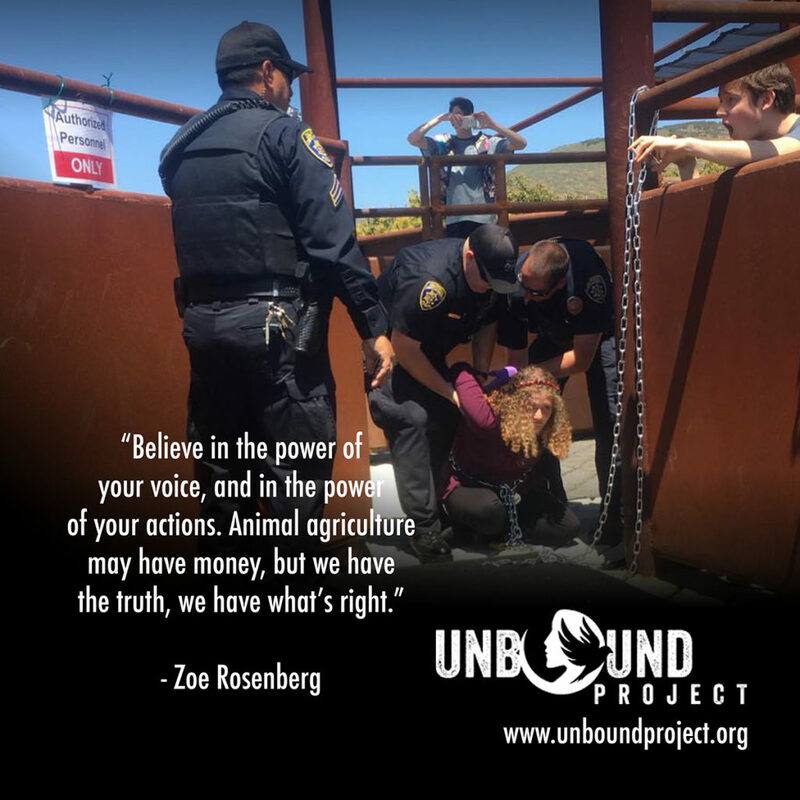 This year, Rosenberg received media attention when she was arrested for chaining herself to a slaughterhouse chute while protesting the exploitation of cows at the meat processing plant at California Polytechnic State University. Rosenberg is also a sought-after speaker, who shares the story of her journey in activism to change the perception of activism as something extreme, and inspire others to take action for what they believe in. Learn more about Rosenberg’s work, and follow Happy Hen Animal Sanctuary on Facebook and Instagram. Young Voices for Animals (YVA) is an Australian non-profit organisation dedicated to educating and empowering young people to build a better world for all animals. Harley McDonald-Eckersall, 21 and Kianna Hope, 25, are two of the members who founded YVA in 2017, and they have since been joined by Emmy Montgomery, 24. 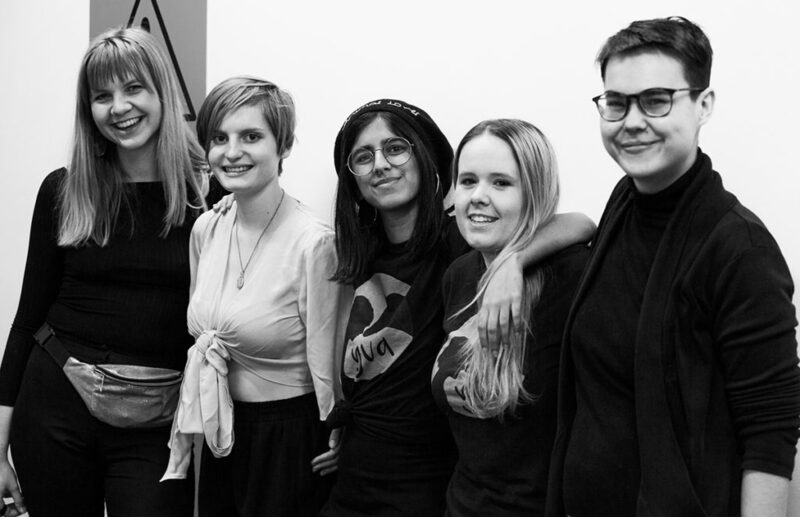 These young women are part of the powerhouse team leading the way for youth animal advocacy in Australia, creating events and workshops, to inspire and engage young activists. This year YVA launched Catalyst, a leadership and development program that supported 15 passionate young people aged 15-19 to become effective change-makers for animals. They also hosted Australia’s first ever Youth Animal Rights Conference. Learn more about YVA’s work and follow them on Facebook and Instagram. 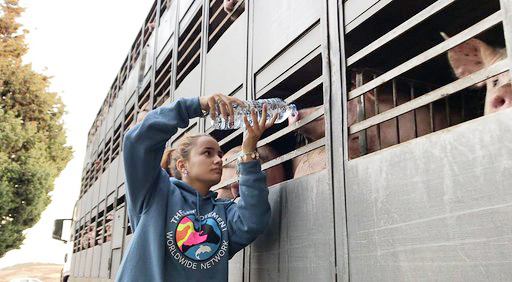 Mónica Salvado is a 17-year-old animal rights activist from Portugal, working to expose the suffering of farmed animals, and raising awareness about the reality of life inside Portuguese industrial farms. Salvado uses her Instagram account @thisveganteen_ to show the lives of animals who are kept invisible behind the walls of factory farms and slaughterhouses. She is currently planning an activism tour of Portugal during which she will give lectures about The Save Movement, and host vigils showing people simple ways that they can get involved in activism. Follow Salvado’s work on Facebook and Instagram to learn more. Avalon Llewellyn is the 17-year-old vegan activist and mental health advocate behind the Instagram account @tiedyedtofu_. Llewellyn became involved in animal activism as a child, learning about the lives of animals in the food and clothing industries, and at 13 she went vegan. In the years since, she has inspired countless others to do the same, using social media as her main tool for reaching and engaging with other young people. She organises meet-ups where groups of young people can connect with peers, explore shared values, and discuss animal rights issues, and provides mentoring by email to those wanting to learn more about or try veganism. 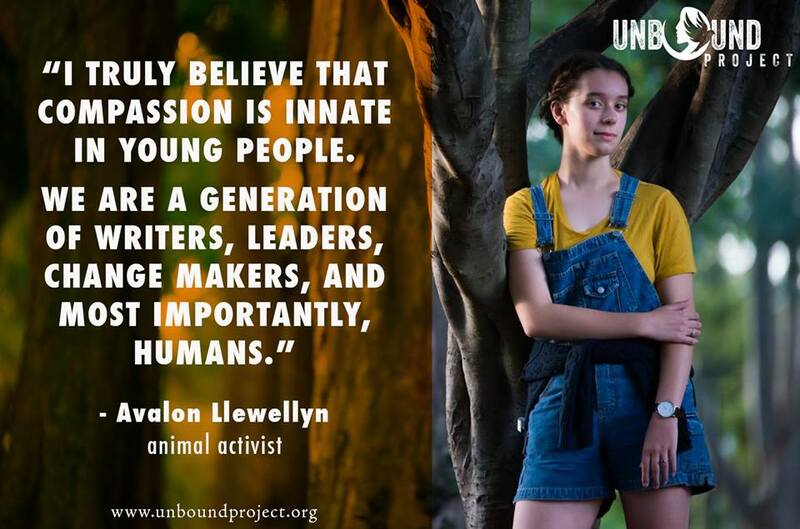 At just 15, Llewellyn published an e-book titled “The Modern Guide to Going Vegan at a Young Age” (full disclosure: she donates a percentage of proceeds to We Animals!). Follow Llewellyn’s work on Instagram. Avalon Theisen is the 17-year-old animal activist and conservationist behind the non-profit organisation Conserve It Forward, which she founded at just nine years old. 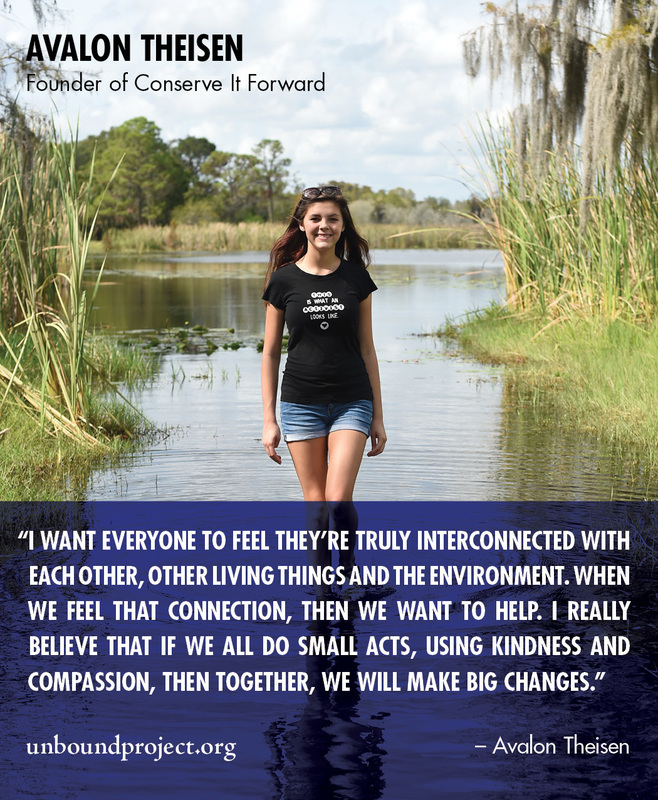 Based in Florida, Conserve It Forward runs educational programs on subjects including amphibian conservation, animal advocacy, sustainable eating and peacemaking. The group promotes education and action that benefits the natural world, humans, and non-human animals. The connection between the food we consume and the damage we cause to the environment continues to drive Theisen’s work. In the years since founding the organization, she has given a TEDx Talk on her journey in conservation, attended the 2015 COP 21 climate change conference in Paris to speak about environmental issues, and has visited the White House to discuss how our food choices affect the environment. Learn more about Theisen’s work and follow Conserve It Forward on Facebook. 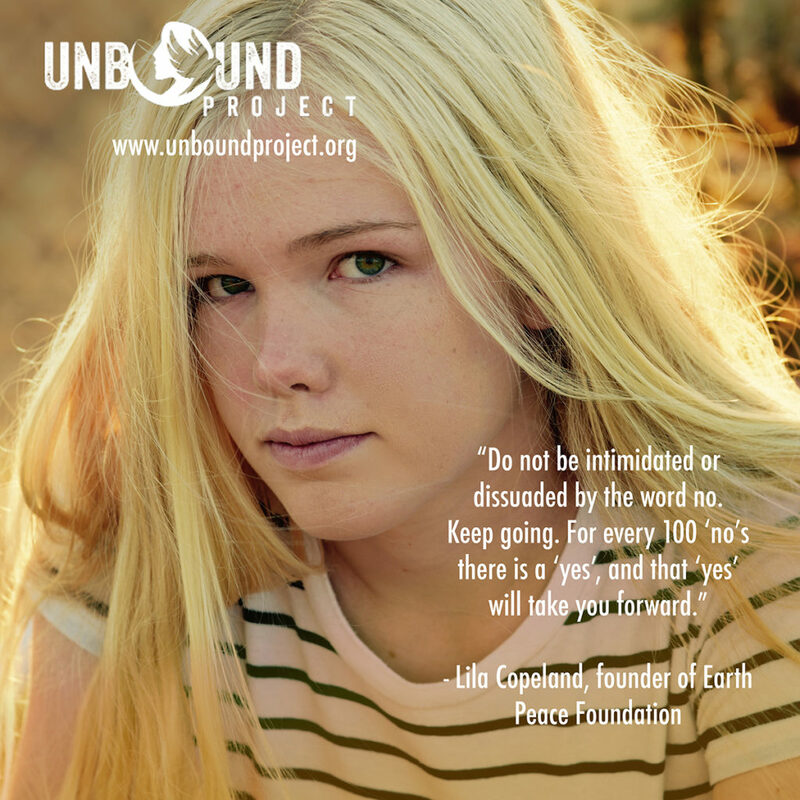 Sixteen-year-old Lila Copeland is the force behind Earth Peace Foundation, a California-based non-profit focussed on bringing humane education about the animal welfare, environmental, and human health impacts of animal agriculture into schools and clubs for young people. The foundation also petitions government agencies for legislative and policy change to protect animals. In 2015, Earth Peace Foundation launched the Healthy Freedom campaign, with the aim of bringing vegan meals into all California public schools every day of the school year. So far, Earth Peace has been successful in petitioning the Board of Education to pass a resolution that mandates vegan meals in the Los Angeles Unified School District, California’s largest district by number of enrolled students. Learn more about Copeland’s work and follow Earth Peace Foundation on Facebook. Genesis Butler is the 11-year-old animal activist behind Genesis for Animals, a non-profit organisation that raises funds for animal sanctuaries around the world. After visiting animal sanctuaries and seeing how much time and money was required to care for the animals – and that most sanctuaries were struggling to meet their costs – Butler decided she wanted to help. Butler is already a sought-after speaker, regularly speaking at animal rights events across the United States and in Canada, sharing her story of activism and compassion. She is one of the world’s youngest TEDx speakers, and has won numerous awards for her advocacy. Learn more about Butler’s work and follow her on Facebook and Instagram.